Reminds me a little of the one RovyVon is now releasing except somewhat smaller but more complicated. I’ll post plenty of images with my review. There’s no reflector though, it uses a TIR. $117! (long exhalation and whistle of air) what a shame, I would have loved to get a few as gifts this christmas time. Oh well il just grab a bunch of nitecore TINI instead. Agreed, the promotional images seem to avoid showing the thickness. Im still reeling from that absurd price. All your questions can be answered in my review here ! Ask me over there if you have any questions for me about this little guy. It’s more 16340 sized than traditional keychain lights. I like their products but sometimes can’t understand the pricing policy. Ummm…the price is just…ridiculous. I like their products but sometimes can’t understand the pricing policy. I agree fully if that price is correct this light is way overpriced, and a lot of overkill for a keychain light. But seriously, WTF for a keyring (allegedly) torch ? I mean, seriously, what’s going on ? Maybe encrust it with Swarovski crystal, gold plate, and sell it to … whoever. 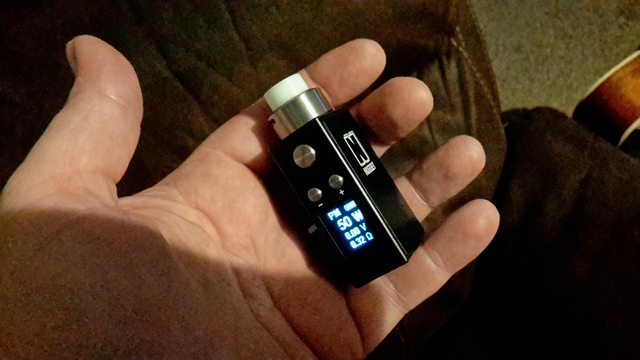 In the vape world, there are countless box mods with oled screen, advanced regulation, micro USB to charge battery and to upgrade firmware, etc…for 40$. Vaping stuff are quite recent compared to flashlights but flashlights are now years behind e-cigarettes. The TUP for 117$ is ridiculous. If it’s Nitecorelights, the price is in Singapore Dollars, which are as of this morning $0.72 USD. And at that rate their $150 will be $108.50 USD. Just checked – the Nitecorelights price is now $117 SGD, which converts to $84.63 USD. If you buy three the price drops to $85 SGD, which would be a good deal if you have two pals who would also like one. Nitecore.com has them listed – the Nitecorestore shows them as well, but no price. Even for 80$, it’s outrageously expensive. Don’t know what buyers they are looking for, but it isn’t a collecting-light. Everyone can relax,the MSRP is $65. That’s more like it. Should sell for about the price of the AceBeam UC15. For that price I am game for one, any idea of when it will be released? Looks decent. Similar in size to an Olight S10 which uses 16340. But if the labeling on the lipo cells inside the review breakdown pictures can be believed, this little light has 2×600 mAh cells, for 1200 mAh total, which would give it slightly larger battery capacity than the best 18350. Combine that with the 1,000 lumens, Oled display and how it looks like the emitter can be swapped, I think I’d be in for $65. I wouldn’t want to pay more than that though. I wouldn’t really consider this a keychain light. Way to big. But I would consider this for carrying loose in the pocket as an EDC light. as a ‘collector’ of flashlights, how could I not be in on this one? Sure, that’s an option – but most Amazon buyers won’t consider it. It also might burn your nards off, and doesn’t factor in the cost of the cell or charging, so I really don’t think it’s a fair comparison. Nymph offers 20% lower output in well-tinted CRI 90 with significantly less then half size, great looks and similar price. I’m not thrilled. But I do think that at sizes significantly below 18650, LiPo is an interesting choice.